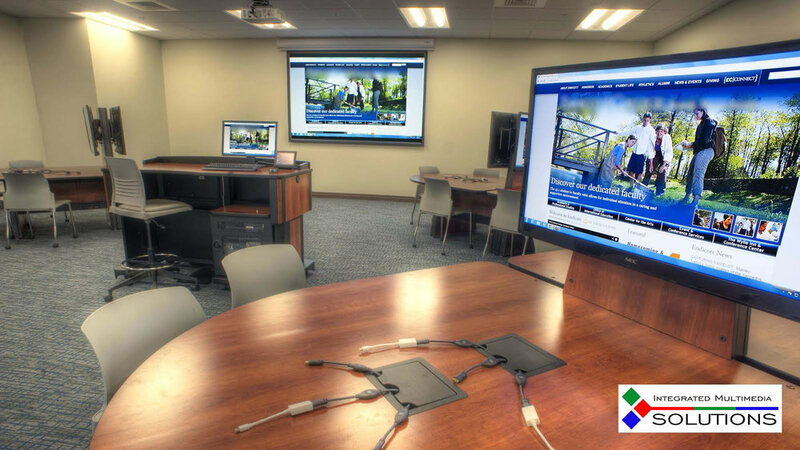 At IMS we design, install, and service integrated multimedia presentation systems including projection systems, flat panel displays, digital signage, and video/audio conference systems. 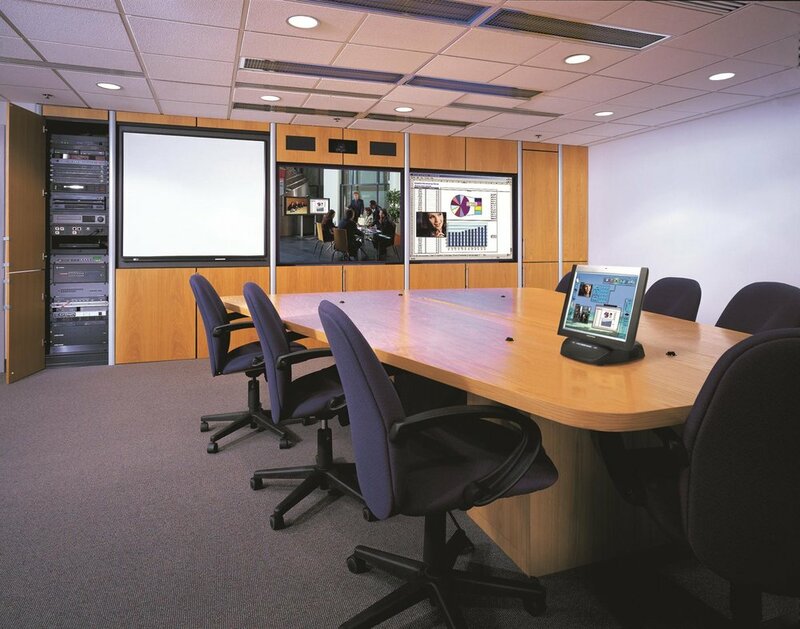 Our installations include conference rooms, board rooms, classrooms, auditoriums and public area displays. To run this technology we offer turnkey control systems that offer powerful yet intuitive room control via button panels, touch panels, iPads or tablets as well as control via Ethernet. Every person you deal with from our company has years of hands-on experience in every aspect of multimedia systems from sales and design to installation and service. We are available to meet with you at your convenience to discuss your presentation needs. Our design solutions are done in a way to ensure that the systems we provide give you the performance you expect. Reliable equipment choices and sound design practices enable us to provide you with what you need most: a reliable effective presentation system. We provide whatever drawings, schematics, specifications, or other support documents are needed to ensure that your multimedia system is installed properly and functions as expected. We offer turnkey solutions professionally installed using the highest quality cabling, connectors and materials. All of our installation labor and materials are guaranteed for one year from the date of substantial completion. Our warranty includes all cabling and connections as well as de-installing and re-installing equipment that has to be returned for service or replacement. 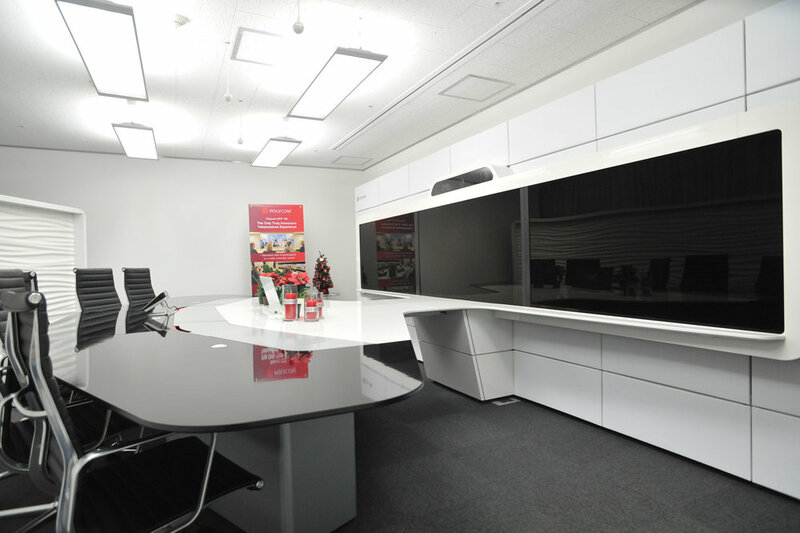 Expert control system programming and configuration mean that your presentation technology is easy to use. Control interfaces can range from a simple button panel to wired or wireless touch panels, control via Ethernet, even control from your iPad or tablet. We can provide regular maintenance and service on your system or provide service on an as-needed basis. We will also gladly service any equipment or systems you may have whether we installed them or not. All service requests are addressed promptly and efficiently. We are constantly expanding our selection of products to provide you with the best possible equipment solutions. Extron Electronics*, Crestron*, NEC, Polycom*, Biamp*, HuddleCam, Clock Audio, Shure, Bose Professional, DaLite Screen Company, Tannoy, Williams Sound, Sennheiser, Middle Atlantic, Chief Manufacturing, Spectrum Furniture, Vaddio, and many others. Please feel free to contact us for a consultation or to provide feedback by filling out the form below. We appreciate your time and will respond as soon as possible.